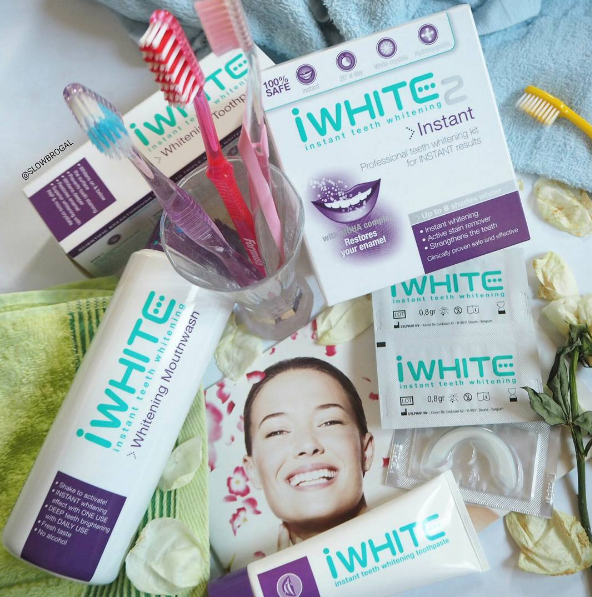 So the iWhite Teeth's Whitening Solutions consists of 3 different products - iWhite Instant Whitening Kit, iWhite Instant Whitening Toothpaste & iWhite Instant Whitening Mouthwash. 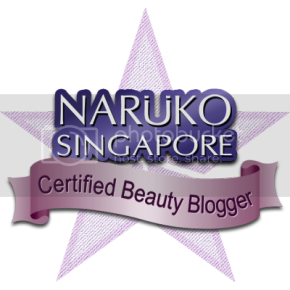 I was told that these 3 products works very well together and it give you a better effect when you use the whitening kit. 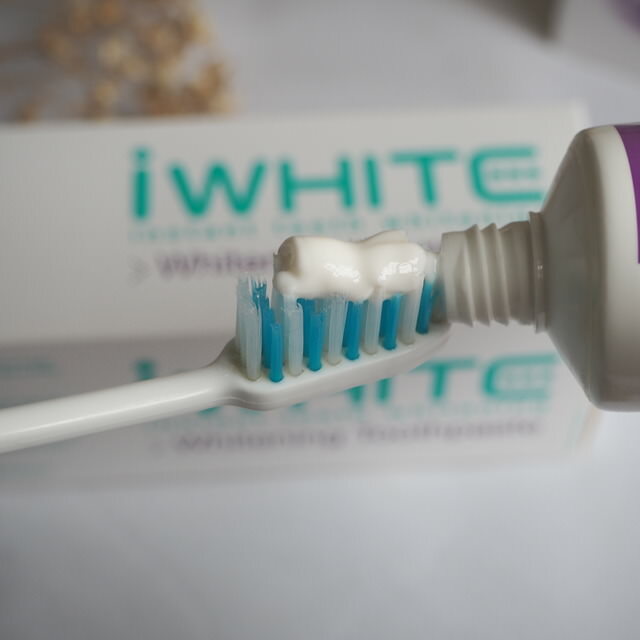 iWhite promises instant results and is peroxide free, using calcium based technology to strengthen teeth rather than peroxide which can be damaging. 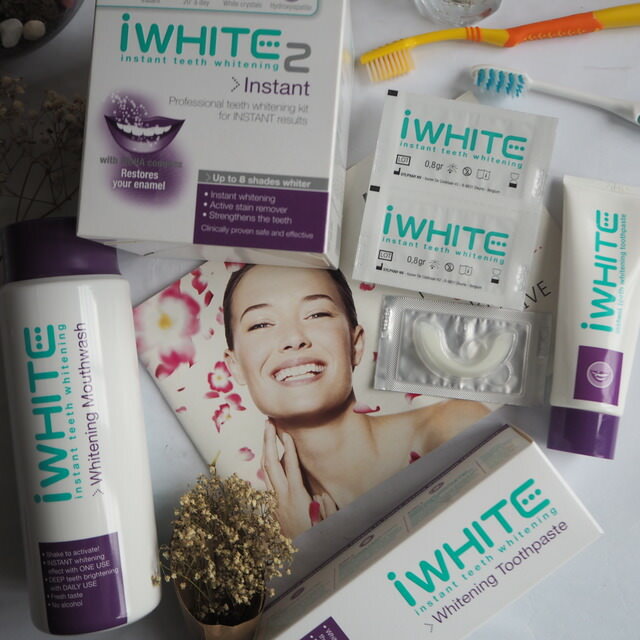 The iWhite kit contains 10 hygienically packaged tooth trays filled with a Film-Crystallised Calcium technology active gel (no hydrogen peroxide here), which aims to instantly whiten teeth by up to 8 shades, and can be used occasionally or on 5 consecutive days to remove stains and strengthen the upper and lower teeth. 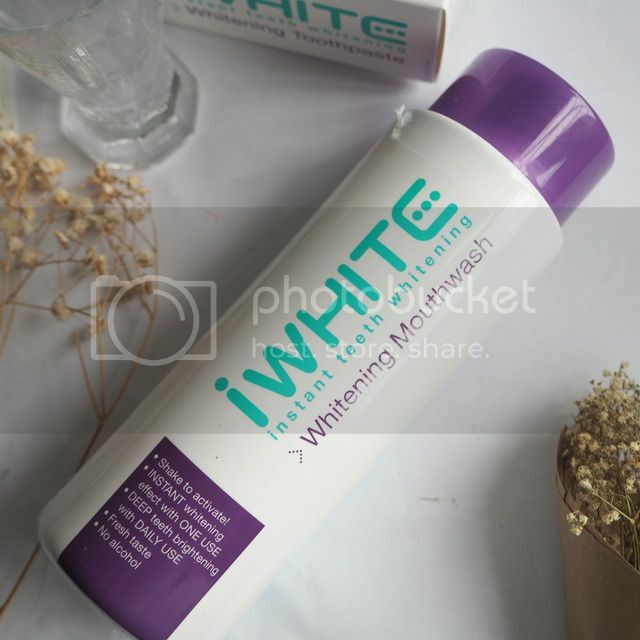 So I really hoping the iWhite Instant Whitening Solution would give me the lovely bright smile. 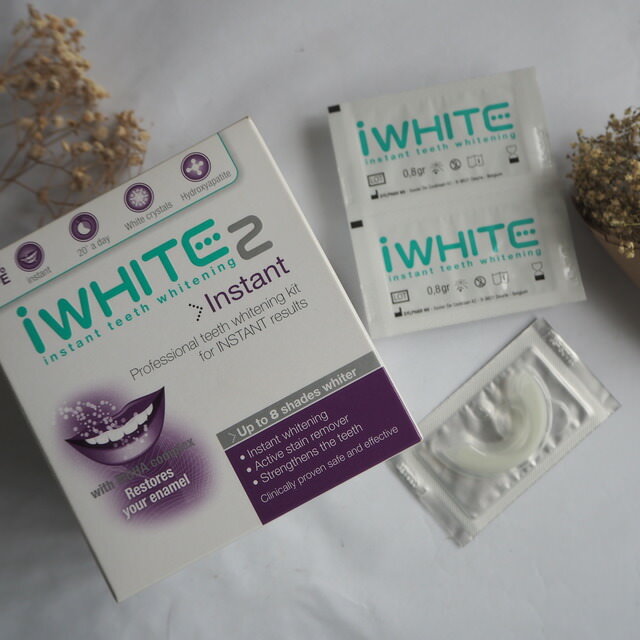 The iWhite trays are really simple to use as they're pre-filled and individually packaged, take them out of the sachet and pop them in for 20 minutes over gently brushed teeth. Biting it too hard can cause the active gel to ooze out from the trays. I didn't experience much of this problem except since my mouth is consider bit small, it maybe bit huge for me that the gel actually staining my gumlines instead and I really had to wiggle the trays to get a good enough coating that far up the tooth. The gel itself has a slightly minty but not strong taste. The process was quite ok, isn't unpleasant, 20 minutes is about the maximum I'd want to have it in my mouth before needing a good rinse with water. To be honest, I am quite happy that the kit/ trays are so easy to use but a little less so with the results. I didn't find that the result was immediate after first use. But after trying it with the other products my teeth were definitely whiter (i think so because the shade of my teeth actually looks different) at the end of the 5 day treatment period. 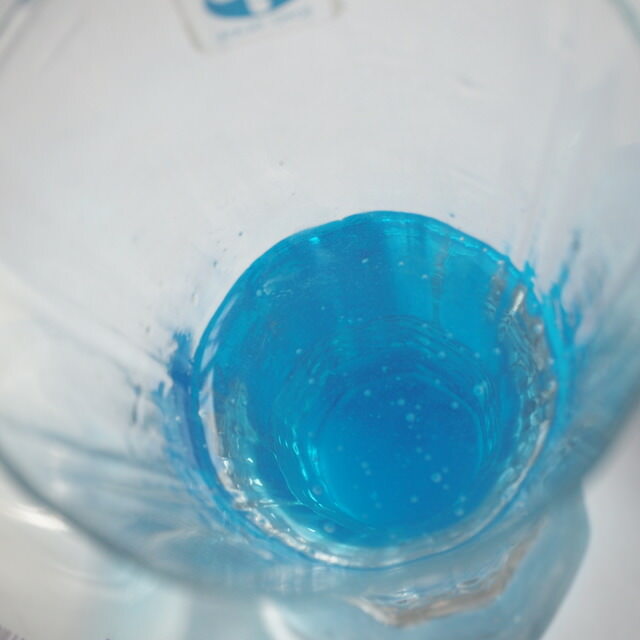 The mouthwash contains blue covarine, which places an ultrathin film over the teeth’s surface during the rinsing action. Blue covarine alters the way light glints on teeth and gives an immediate visible white appearance. In addition, the ingredients Hexametaphosphate and PAP work in tandem to remove and prevent plaque. The mouthwash dissolves discolouring substances without causing damage to the teeth or gums. 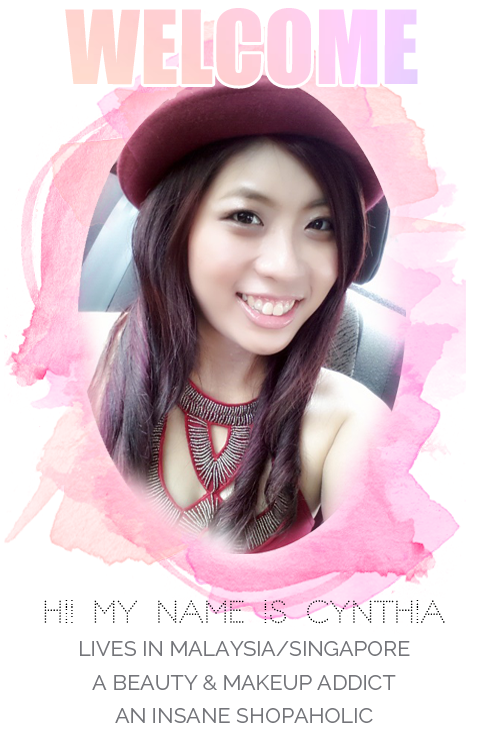 It also deftly removes and prevents new plaque formation, giving you an instant bright smile. Flouride imbues it with a tooth-strengthening ability. Use the mouthwash daily to attain a set of teeth that is not just beautiful but also healthy. All these products are now available in all Watsons and Guardian Store.
" 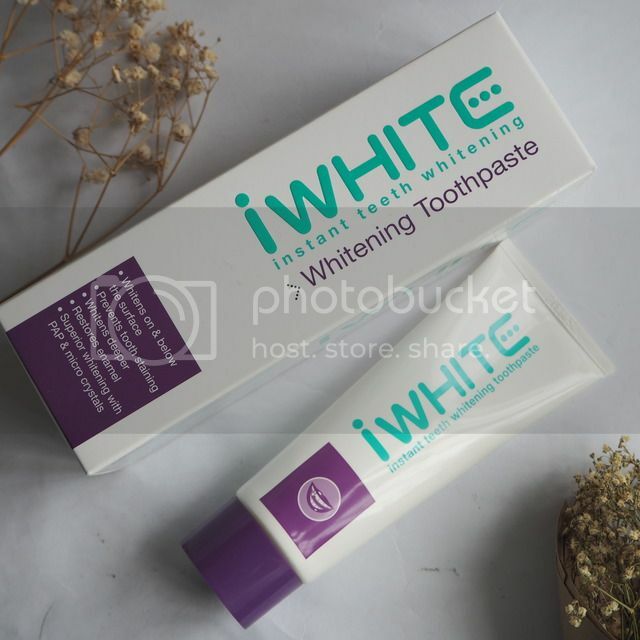 Have you tried any teeth whitening products? Share me what's your favorite! "